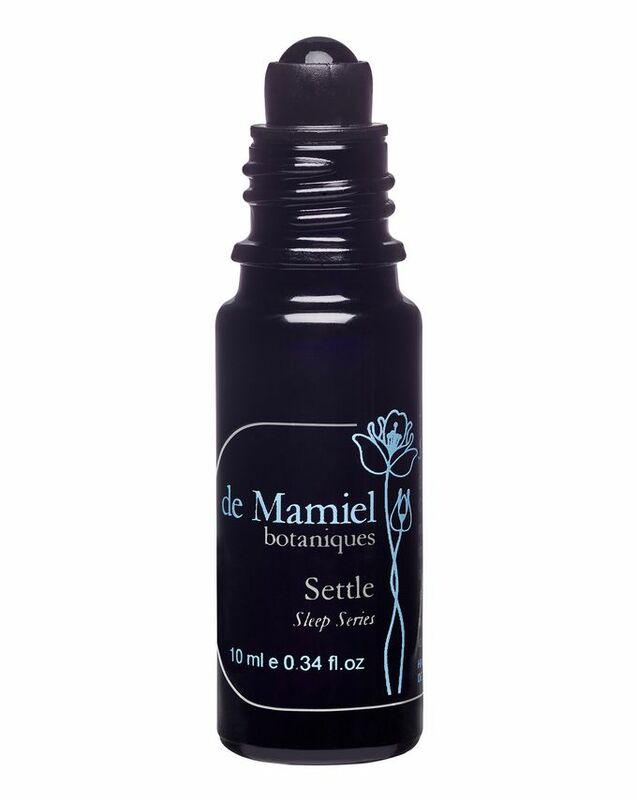 Part of de Mamiel’s innovative Sleep Series, Settle will calm even the most restless mind, helping to quiet buzzing thoughts. Combining a bespoke blend of herbs, watermelon seed oil and passionflower oil (which maximise the absorption of vitamins and minerals essential for quality sleep) alongside calming lavender, jasmine and wild rose essential oils, this potent blend settles both senses and body to ease you into a deep, calm, comfortable slumber. The product of extensive research into why we don’t sleep and what keeps us awake, de Mamiel’s ingenious Sleep Series is a sublime remedy for the over-tired among us. 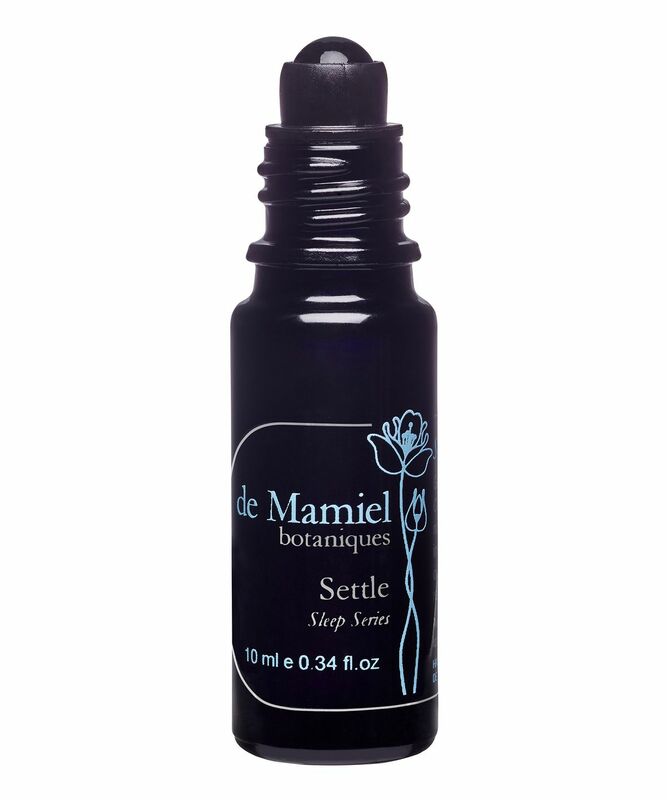 Settle is there for you when you feel wide awake as soon as your head hits the pillow, mind buzzing and to do list running through your stressed thoughts. 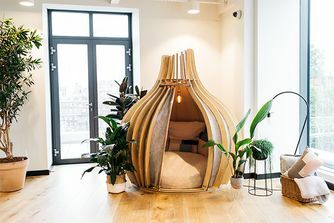 The clever blend works beyond mere sedation, acting within the body to help reduce inflammation that would otherwise hinder restful and restorative sleep. The base oil combines a bespoke blend of herbs, watermelon seed oil and passionflower oil to maximise the absorption of minerals such as magnesium and zinc and B vitamins that are essential for quality sleep. 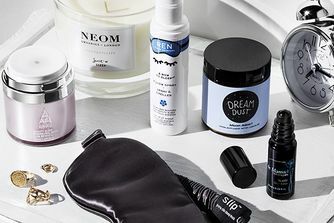 Together with luscious essential oils (such as wild rose, frankincense and vetiver) these ingredients will settle both senses and body to lull you into a deep, comfortable slumber. 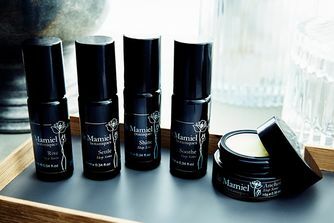 Working in harmony with de Mamiel’s Anchor and Soothe blends, this forms part of the ‘Sleep’ phase of the brand’s Sleep Series, while Rise and Shine form the ‘Awake’ element. Apply Settle to your palms and gently rub your hands together. Place over your nose and breathe deeply for a minimum of 3 breaths. Anoint the inside of your wrists then roll the oil across your chest and breathe. Exhale and roll the oil back, letting go of any tension. I wanted to give the product a try as I was having trouble sleeping and OMG I am so glad I did! I rub some of a little oil on my wrists and temples or sometimes just rub some in my plams, place my hands near my nose and breathe for a couple of minutes. It instantly calms me down and puts me in a very relaxed state ready to drift into a peaceful sleep! A beautiful calming oil - I use it in the evening before bed but also during the day as a relaxing pick-me-up. Expensive, but a little goes a long way. Looking forward to trying the other oils in the range. I bought this oil blend because I was routinely experiencing incredibly disturbed sleep. Not only was I struggling to get to sleep in the first place, but I was waking throughout the night tossing and turning. I was also waking myself up by talking in my sleep. I normally have vivid dreams - but during this period I was experiencing several incredibly intense, anxious dreams a night - I was waking up every morning feeling stressed and exhausted before my day had even begun. Adding this oil into my night time ritual has made me feel back in control of my sleep again - my dreams have calmed down and I have returned to be able to drop off easily. I am also not waking up throughout the night. I've always moved a lot in my sleep, but since discovering 'settle' and using it alongside the 'Calm' app and their wonderful sleep stories I'm waking up in the morning having barely moved. I think I must be getting a much deeper sleep! This product has been such a success that I have just ordered 'rise' for the mornings, and I plan on gifting the entire sleep series to my relatives for Christmas this year. I am definitely a real 'bedtime worrier', where I can get overwhelmed by my stresses and worries, however, I feel more in control of these invasive thoughts now. I am able to cast them off unemotionally and leave them till the next day when I am actually awake and able to tackle them. This little bottle adds a real sense of luxury to my bedside table, and inhaling its scent gives me permission to relax and drift off - I highly recommend!